That’s why I was so excited about the opportunity to use the Pathways Reading & Language Arts curriculum for 1st grade with my twin girls. 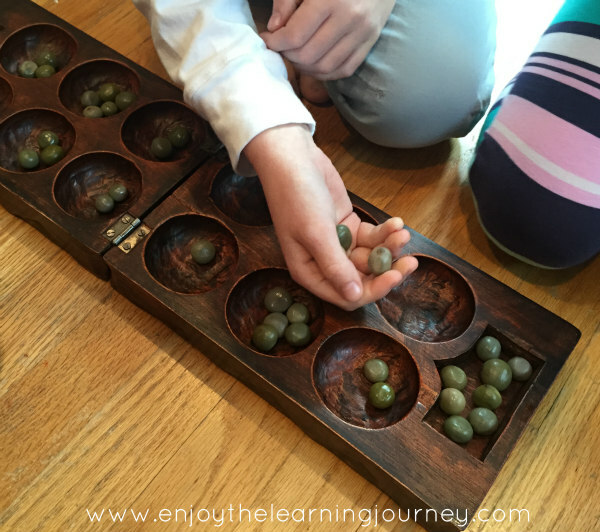 Since I was familiar with Kendall Hunt RPDs Kindergarten Stepping Stones curriculum, which we used last year, I had a feeling this would be a good fit for my girls. I received the curriculum items at no cost and was compensated for my time to review this product. However, I was not required to write a positive review and all opinions are honest and 100% my own. Please read my disclosure policy for more information. There are nine thematic units for each of grades 1 through 8 as part of the Pathways reading & language arts curriculum. 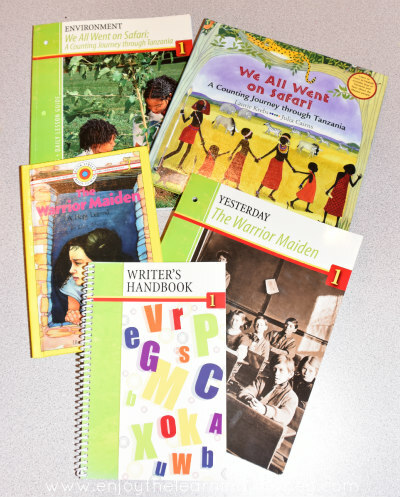 I received Pathways Daily Lesson Guides for two out of the nine 1st grade thematic units, as well as the accompanying theme books and a Writer’s Handbook. 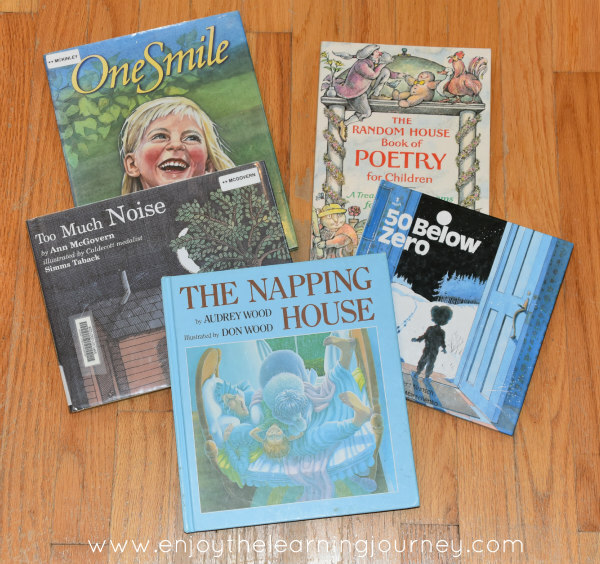 Even without the Teacher’s Manual, Guided Readers or Phonics Program, I found the materials I received completely sufficient for our purposes. I immediately noticed the wonderful literature selections to be used as the basis for the thematic units. And the great opportunities for the children to practice reading, writing, spelling, oral language, grammar and conventions, as well as cross-curricular activities. Blackline masters. This means you can make copies for your children of the included handwriting practice sheets, maps, booklets, reports and more. I greatly appreciate not having to spend the time to hunt down (or create) things to include in a thematic unit. Suggested supplementary books. I love books. And because of that I always like to include additional books in anything we are studying. To have suggestions right at my fingertips without having to figure out what books to supplement with makes my life so much easier. Fun extension activities. When my children are engaged in what they are learning, everyone is happy. My girls enjoyed all the extension activities we completed. An opportunity to add or subtract activities as needed. As homeschoolers we love (and need) flexibility. And this curriculum provides that. You can look at the suggestions and pick and choose the activities that best meet your students needs. 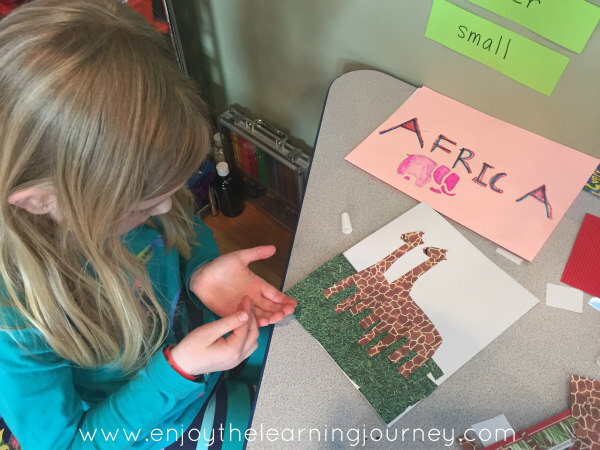 There is no hard and fast schedule and while some lessons build upon each other, many are separate extension activities that certainly won’t goof anything up if your child doesn’t complete them. Having been to Ghana a number of years ago, I am always excited to share my experience with others, especially my children. This was a great opportunity for that as I was able to pull out some authentic African items and photos. 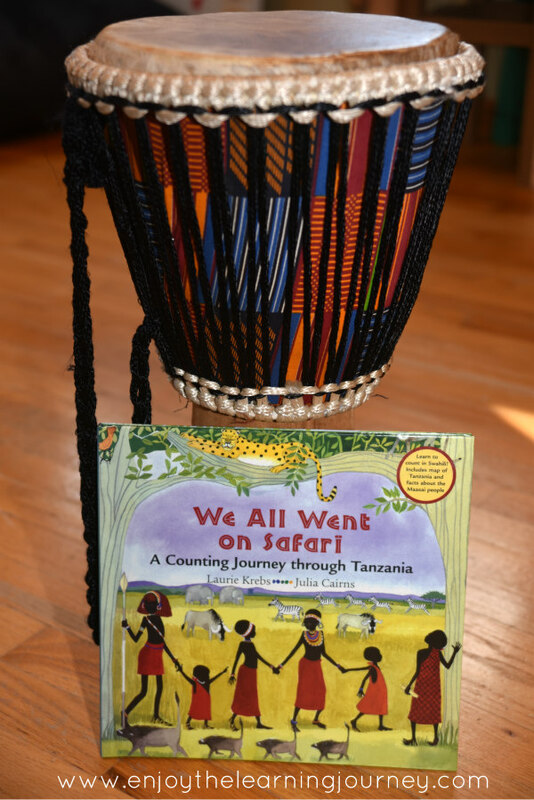 We began with the theme of weather and Africa and used We All Went on Safari: A Counting Journey through Tanzania for the theme book selection. It turned out to be a wonderful and memorable learning experience for my girls (and me too)! The Daily Lesson Guide was thorough and walked me, as the instructor, through the entire unit. I took ideas from the Daily Lesson Guide and expanded on some of them. I pulled in additional books that they suggested, both specifically and generally. Here is a peak into our personal experience. It was so rich! 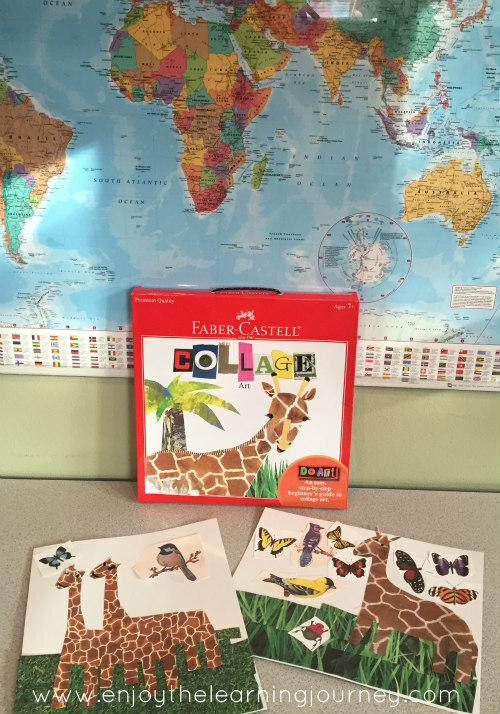 We already had these awesome African animals which were perfect for this unit. 🙂 And I chose the “grows up” books to read about various African animals. 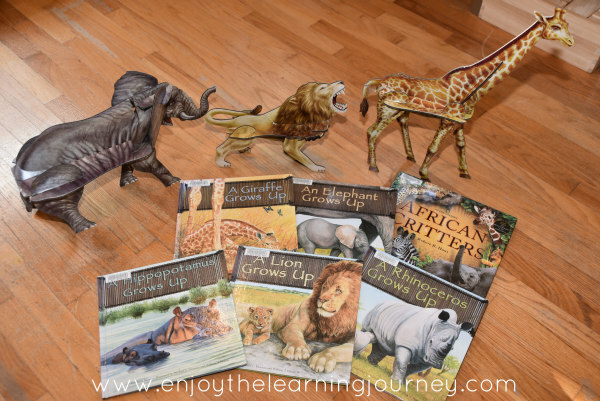 I also the African Critters book which we all enjoyed, both the stories and photos. 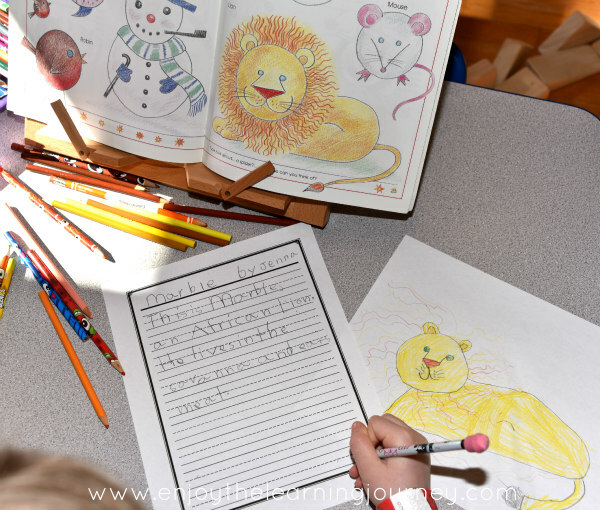 The girls completed drawings and writing assignments after reading about various African animals (we used a drawing guide that we already had on hand for this activity). We talked about cultures and I pulled out my African Oware game and taught the kids how to play. We had a blast! My girls completed many other reading and language arts activities over the month that we worked through this thematic unit. The activities were related to regions of Africa, seasons, Swahili language, alphabetization, animals and habitats, the food chain and more. We are now moving on to The Warrior Maiden which I am really looking forward to. I believe it will be just as rich of an experience as We All Went on Safari. Each Pathways Thematic Unit is designed to be completed in 4 weeks. So, if you were to use all nine units, that would give you 9 months worth of material. For the two units I received, they were each broken up into 10-11 sessions. There are various activities and learning opportunities for each session. We typically covered one session over a period of 2+ days but you could certainly complete each session in more or less time. A comprehensive elementary reading program with integrated language arts. 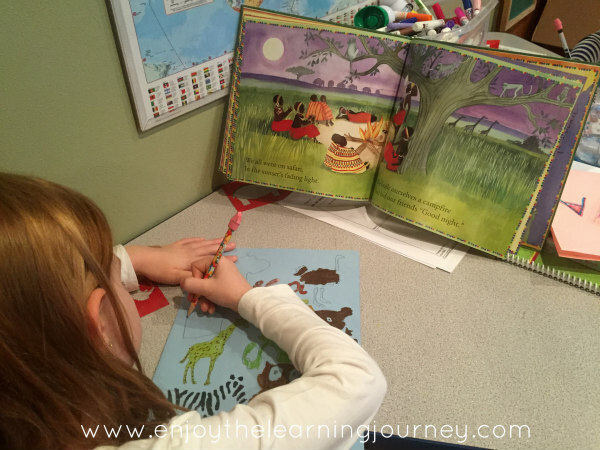 This approach allows students to follow a variety of avenues to become readers, writers, and learners. 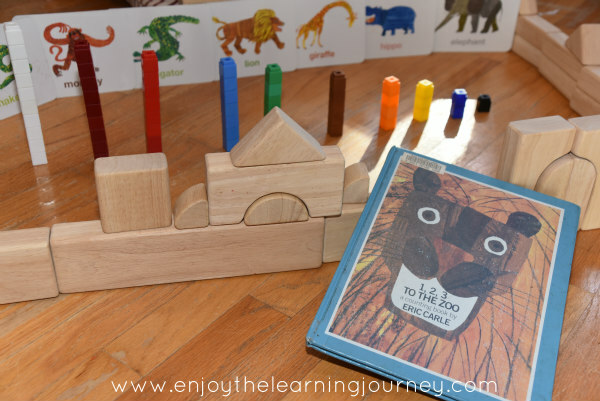 Organized around broad themes and a scope and sequence of skills, Pathways uses award-winning trade books that children want to read to deliver the skills that they need. Pathways is presented in the context of a Seventh-day Adventist worldview, which I am not, but I found the material to be relevant to our family’s Christian faith. As with all curriculum, I made a few minor adjustments as necessary. And while I typically don’t gravitate towards classroom curriculum, as this is geared for the Seventh-day Adventist classroom, I found this curriculum to be relevant to homeschoolers and easily adapted to our own homeschool. 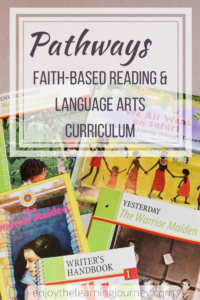 I definitely recommend Pathways for all Christian homeschoolers who are looking for a comprehensive reading and language arts curriculum and are interested in making connections to Scripture while working through literature-based thematic units. Interested in purchasing this awesome curriculum? You can visit Kendall Hunt Religious Publishing. Want to learn even more? Be sure to visit the Pathways Reading and Language Arts website.